MAIL ART is an artistic movement where small works are sent via postal service. 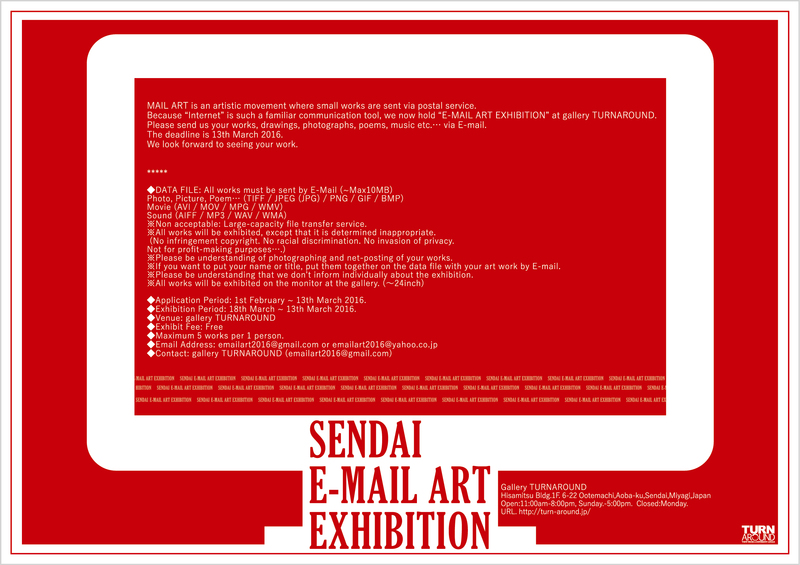 Because “Internet” is such a familiar communication tool, we now hold “E-MAIL ART EXHIBITION” at gallery TURNAROUND. Please send us your works, drawings, photographs, poems, music etc.… via E-mail. The deadline is 13th March 2016. ※Non acceptable: Large-capacity file transfer service. ※All works will be exhibited, except that it is determined inappropriate. (No infringement copyright. No racial discrimination. No invasion of privacy. ※Please be understanding of photographing and net-posting of your works. ※If you want to put your name or title, put them together on the data file with your art work by E-mail. 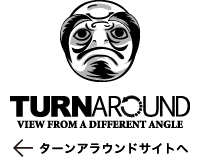 ※Please be understanding that we don’t inform individually about the exhibition. ◆Application Period: 1st February ~ 13th March 2016. 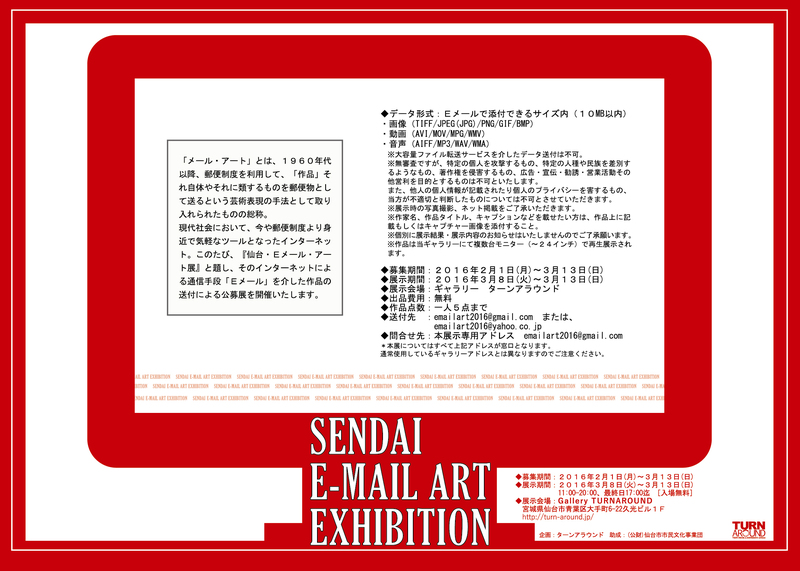 ◆Exhibition Period: 18th March ~ 13th March 2016. 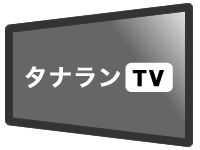 ◆Maximum 5 works per 1 person.